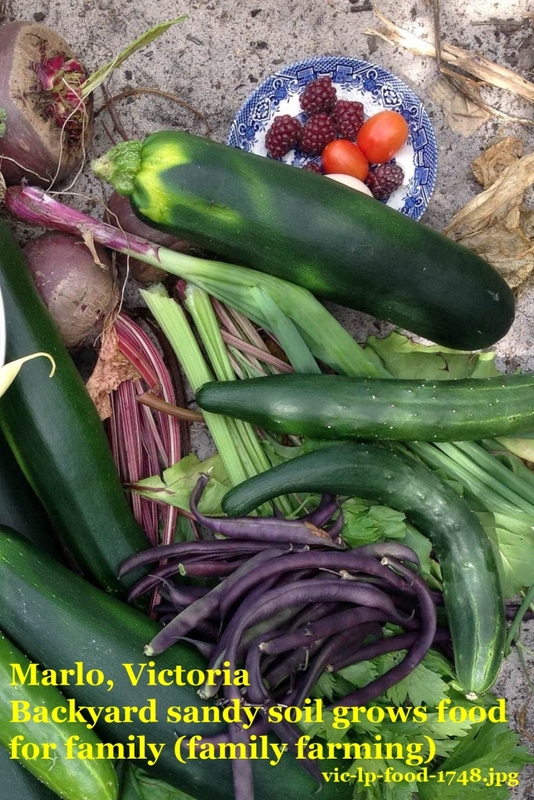 grows veggies and herbs for cooking from my own garden. 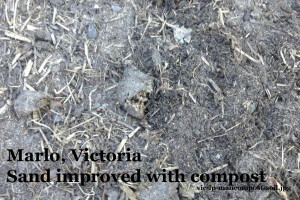 – Collect cow manure from surrounding dairy farms occasionally and pile up in a corner of my yard till it has rotted down. 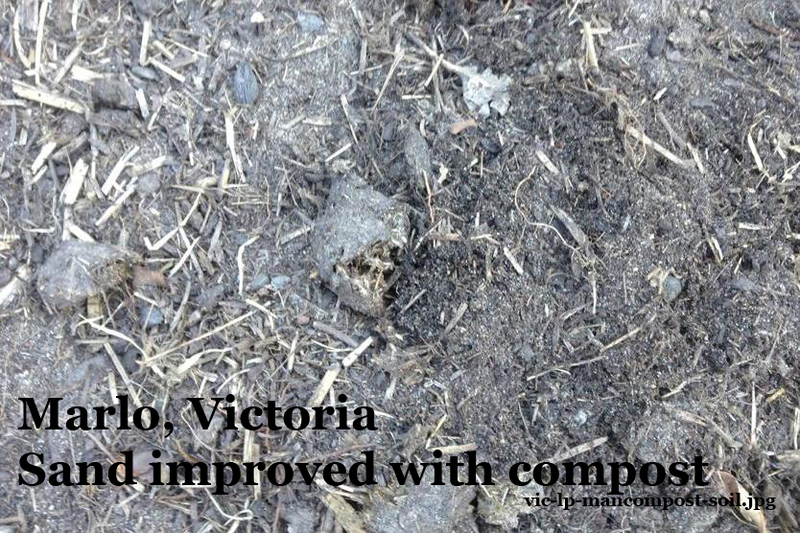 – Annual purchase of mushroom compost mixed with soil. 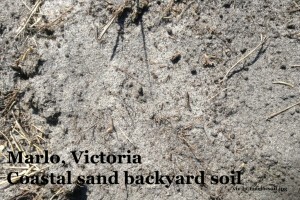 – Pea straw or sugar cane mulch put over soil four times a year. 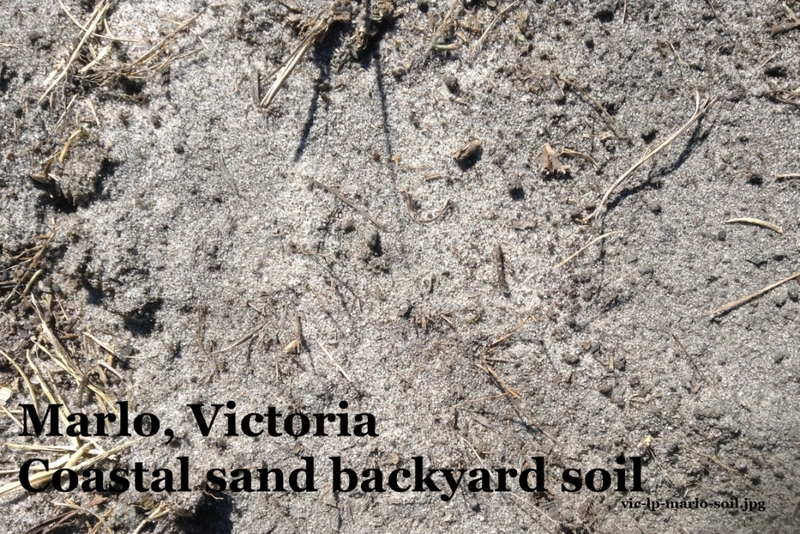 – a NSW rural town family farm food garden on sand at Werri Beach , NSW.